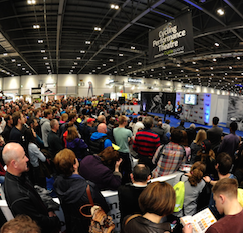 The London Bike Show will return to the ExCel Convention Space this February; the 2017 edition of the show will take place from Thursday 16th to Sunday 19th. 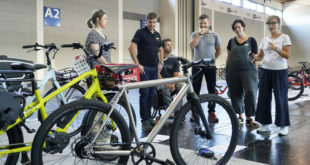 The show will once again bring a vast array of attractions to the venue such as a schedule of notable guest speakers, cutting-edge gear from leading cycling brands and a chance to test out numerous new products on the indoor test track. Over 300 confirmed brands will be in attendance, including representatives from Cannondale, Giant, Scott, Pinarello, Orange, Cervelo and Wattbike, amongst a host of other established names. New areas for 2017 include The Craft, which will be dedicated to celebrating custom-built frames, unique clothing and hand-built wheels. The area will also feature craft beer and a gallery of cycling-related artwork. Attendees can expect to see unique hand-braised commuter, gravel, fixed gear and monster cross bikes on display. Elsewhere in the main auditorium, the Rider Lounge will once again feature a list of guest speakers from across the spectrum of the cycling industry. 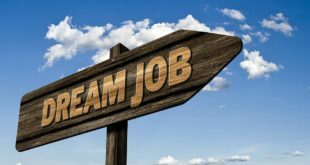 Guests in previous years have included Sir Chris Hoy, Tour de France winner Greg LeMond, mountain bike legend Steve Peat and industry icon Martin Ashton. Also returning for 2017 is the international freestyle MTB competition Air to the Throne, which debuted at the show last year and saw Nicholi Rogatkin secure the £10,000 prize fund. Additionally, action sports fans will find the Extreme Sports Tour area of interest. The area will allow visitors to witness live demonstrations from skilled stunt riders the Daily Demons, who will appear from Thursday to Sunday. Limited quantities of early-bird adult tickets are now available at a reduced price. 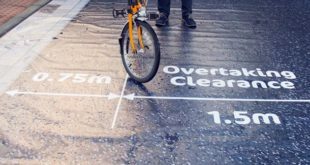 Tickets to The Bike Show will also allow attendees entry into three other events taking place within the ExCel, which include The Triathlon Show, the Telegraph Outdoor Adventure and The Camping Show.